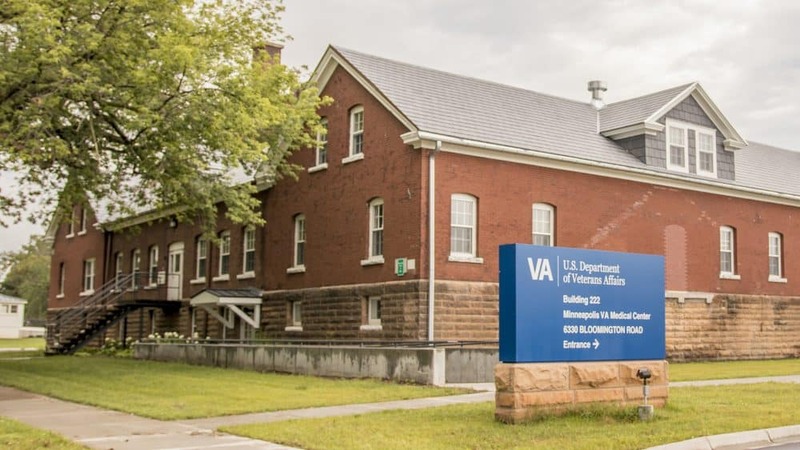 Within the quartermaster’s zone of Fort Snelling’s West district sits the red-bricked and wood-trussed Building 222, soon to be the location of a high-tech telemedicine intensive care unit for the Minneapolis VA Medical Center (VAMC). The unit will allow medical professionals to remotely monitor and assist in the care of service members at bases around the country. The project began with the goal of providing access to critical health care for veteran patients while simultaneously preserving the integrity of this historical place. Now, it has achieved both goals and has become an example of how preservation work can be done most effectively. This year, work to renovate Building 222 for the Minneapolis VA Health Care System is a recipient of the Preservation Alliance of Minnesota’s (PAM’s) Impact award. This award is given to projects that exemplify undeniable impact, quality, and vision in the field of preservation. Though the building has been ushered into the technological age, the project, led by the Minneapolis VA Health Care System and executed by Anderson Engineering and 106 Group, still succeeded in maintaining many character-defining features of the building, providing an up-to-code and ADA accessible space. Because of the VA’s dedication to adaptive reuse design, the space was able to be retrofitted with state of the art technology. This included installing high-tech audio for a video and patient monitoring station that will be in operation 24/7. This will allow patients in Intensive Care Units across the country to cost effectively connect with critical care resources whether it is the primary provider or a secondary specialist. For more information on the Impact award and preservation work being completed around the state, visit PAM’s website.